SOUTHINGTON - A former adjunct professor at Quinnipiac University, accused of harassing an ex-student, a Southington woman, was released from custody on Friday after a public defender successfully argued for his bail to be reduced. 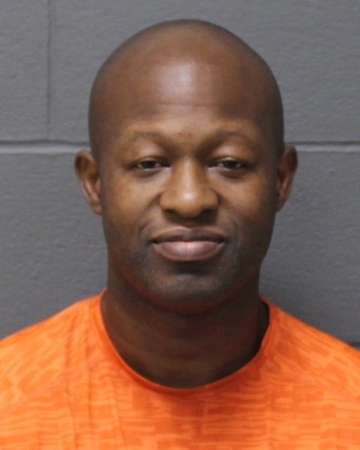 Tcho Caulker, 41, of West Haven, allegedly sent the woman 84 emails in violation of a court order between Aug. 9 and Sept. 14, according to the arrest warrant. Police allege he said things like "I miss you" and "Are you OK?" in the emails, the warrant said. Caulker had been locked up on $5,000 bond since his arrest Sept. 21. On Friday, in Bristol Superior Court, public defender Peter Matthews asked that Caulker be released on a promise to appear. Matthews said Caulker had "never been arrested in his life" before this incident. He added that, in all the emails that were allegedly sent, there were no threats or mention of violence. "I am begging and pleading for a promise to appear," Caulker said. "I don't have a violent bone in my body." "I would never harm anyone," Caulker continued. "It's the last thing I would ever want to do." A judge released Caulker on a written promise to appear over the objection of a state prosecutor. He ordered that he be monitored by GPS while his case is pending and that he turn over his passport. Caulker is due back in court on Nov. 9. According to court documents, a civil protective order was granted to the victim on July 30, forbidding Caulker from contacting her. According to the warrant, Caulker and the victim met while he served as her professor at Quinnipiac, in Hamden. In the document, the woman alleges to police that he became "obsessed with her." The warrant does not provide a timeframe as to when Caulker was the victim's professor, but according to the university's student-run newspaper, he taught at the school as recently as April. Court documents said Caulker no longer works for Quinnipiac. According to the warrant, the university had blocked emails from Caulker's email address, so the complainant had not been aware of them until school officials notified her that they had intercepted the correspondences. The woman reported the emails to Southington police on Sept. 14. Investigators the next day spoke to Caulker, when he admitted to sending the correspondences, saying he knows he should have not done it, according to the warrant. He said he does not plan to contact her anymore, investigators wrote. When asked if he had ever been involved romantically with the complainant, Caulker hesitated, police wrote in the warrant, and said the two were supposed to "go out in the past but never did." Aside from being in his class, the victim told police, she did not have any kind of relationship with Caulker. Caulker faces charges of second-degree harassment and violation of a civil protective order. Posted in New Britain Herald, Southington Herald on Friday, 19 October 2018 16:39. Updated: Friday, 19 October 2018 16:42.